Department of Art | Art for Dinner@ 621 Gallery! 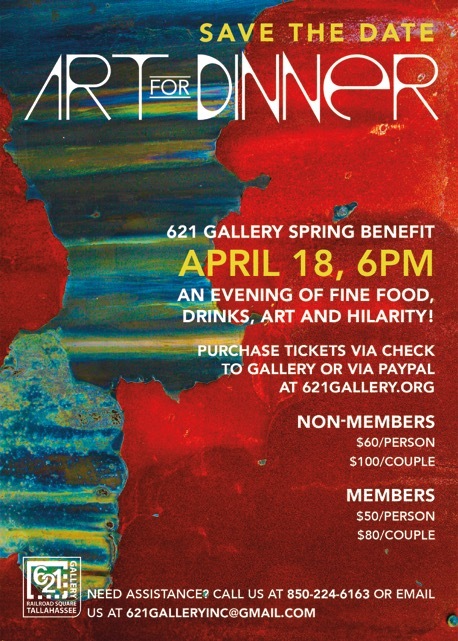 Home » News » Art for Dinner@ 621 Gallery! Art for Dinner@ 621 Gallery! 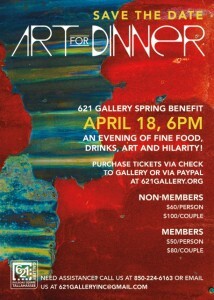 621 Gallery’s Spring benefit, Art for Dinner, is on April 18, 6PM. Hope to see you there! An evening of fine food, drinks, art, and hilarity!